Layered water flows, cool air and green scenery are attractions that you can enjoy when you visit Sendang Gileand Tiu Kelep waterfall. Lombok Indonesia has magnificent natural mountain charm which combined into a calming rhythm, with the shady trees. 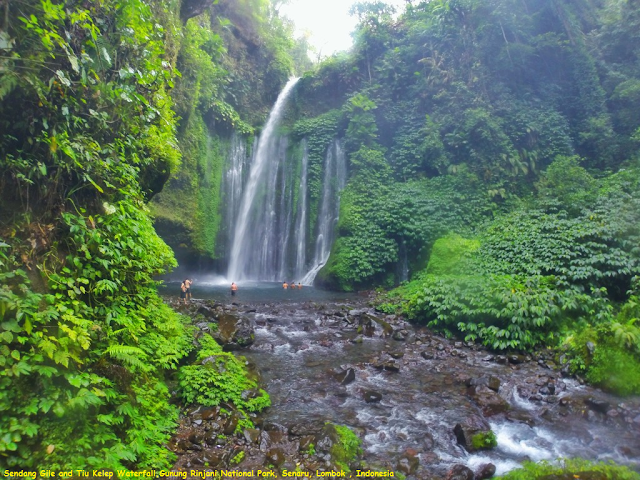 In the foot of Rinjani mountain, there are some waterfalls which have been known as tourism objects. Sendang Gile and Tiu Kelep are two of them. These two waterfalls form water stairs in a single flow. The blowing mist which fills the surround valley will feel so fresh when it touches your skin.